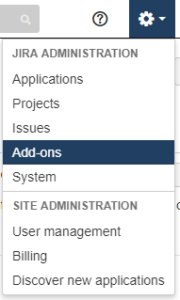 Recently JIRA has been making a lot of changes and improvements, and going through them has been a little hard (like getting kicked out of your account and being forced to create a new one). Eventually, I got used to the changes, until Tempo tracker got “upgraded”. Tempo tracker was never the prettiest or smartest plugin, but I loved it because it was always there when I needed it. I could count on it being accurate and present in every JIRA tab I had opened. 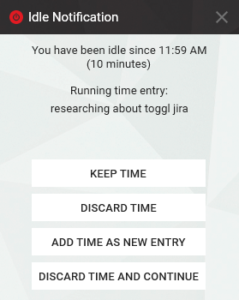 I didn’t need to worry about opening the right task to start my timer, I could just start it from anywhere and assign it to the task when I was done. The reports were also okay; we had to do some workarounds on JIRA tasks to get exactly what we wanted for them, but we got used to it. There, you need to click on + which will now add a tracker that you can start/pause/stop. The only downside: I have to manually input all my time logs from toggl to my JIRA reports. But that’s still a better solution (for me) than having to log my time on each task. But today I finally had the time to do a little research and there is a Toggl integration for JIRA. I installed the trial version this morning. To do this, you’ll need to be an admin in your Atlassian account. Don’t try it from the link above; this would just make you download the plugin and it will be harder to install. Then go to “Find new Add-ons” search for toggl. Click on to “Get token”. NOTE: You’ll need a toggl account for this. You can use that to track time, but that’s just the same as using Tempo tracker. 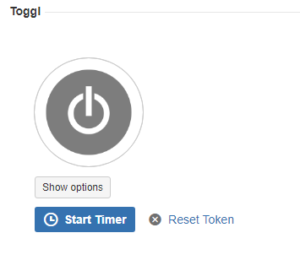 So if you’re like me and hate having to look for a certain task to log time, then you can use the toggl tracker, either web or desktop version. Apparently, you can then sync those times with tasks in JIRA. I’m still very new to using toggl with JIRA, but I’ll give it a few weeks and then write a review; see if it’s worth paying for.